Although my son (who is now 8 years old) and I are both alive and well, that is not down to good maternity care in the slightest. There but for the grace of God. In fact, I laboured for 45 hours before having a caesarian under general anaesthetic. The first night of my labour (after a bloody show and contractions all day), my midwife gave me temazepam (which made me woozy and out-of-it but didnt help with sleeping or pain) as she was busy with another woman who was progressing better than I. In fact, my midwife maintained that I didn’t make it out of ‘prelabour’ as my contractions didn’t stabilize and I didn’t dilate more than 3 cm during the whole process. She was never there, and I went into hospital the next morning despite her. She was too busy. I was sent from Burwood to Chch Womens when the midwife at Burwood worked out that I wasn’t progressing. When the doctor at Chch Womens broke my waters around lunchtime on the second day, there meconium in the amniotic fluid. But I was left till midnight that night before getting the C-section. I had every intervention known to womankind – they even used forceps to get my poor son out! My medical notes are very long. 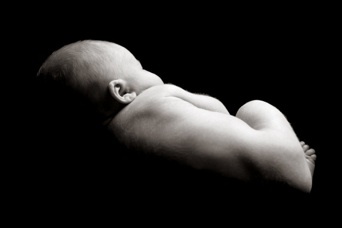 Why did my midwife think the birth process was so traumatic? Because I was a single mother and unsupported in the pregnancy (her words). However, the fact was that my son was 10lb 9oz, and a forehead presentation. He was never going to be born naturally. As I say, Im lucky that we both survived. And he is an only child partly because of the trauma. I was glad when my midwife left the profession to have her baby soon after, as I thought she was worse than useless, she was dangerous. I was actually warned against her by a friend during my pregnancy but assumed (with blissful ignorance) that I would be okay. Anyway, I realise that my story has a happy ending and it could have been a lot worse. And I think about that every time I read about another botched birth in the newspaper.